On or off duty, police officers are expected to comply with the law, just like every other citizen. They are also expected to exhibit the highest standards of professional conduct. While there may be times when an off-duty officer must use his badge and enforce the law, there is never a time when police brutality is acceptable. On July 24, in New Orleans, two off-duty police officers were arrested after they allegedly assaulted a man outside a bar, according to the New Orleans Police Department. The two officers were charged with simple battery and, according to police, they are being terminated from their jobs. Gomez was attacked by the officers when he tried to leave the bar and was left visibly swollen and badly bruised with stitches on his forehead, lucky to get away without a traumatic brain injury. Video and eyewitness accounts of the altercation “clearly demonstrates that our officers were the aggressors in this incident,” says New Orleans Police Department Superintendent Michael Harrison. The officers in question, John Galman and Spencer Sutton, graduated from the academy in 2017. Sutton’s attorney has said his client “maintains his innocence” and that it is very early in the case and no conclusions can be drawn based on lack of investigation thus far. Assault is a crime, and assault by a police officer, whether he is on or off duty, is a breach of trust. Officers are expected to act appropriately, no matter the situation. Witnessing officers who care more about their personal biases than about a citizen’s well-being is a detriment to all law enforcement officers. Though they may have been out for the evening to enjoy themselves, Galman and Sutton should have also considered themselves off-duty officers willing to step in should any crimes or violence occur in their presence. Instead, they chose that time to allegedly break the law. Engaging in high-pressure, highly charged, volatile situations is part of the job for law enforcement officers. Creating these situations while off-duty is not anyone’s job. At times, it may be difficult to recognize police misconduct. There are some situations where officers must exert force to control a suspect or save lives, but excessive force is never acceptable. Also falling under the umbrella of police brutality is racial profiling, false arrest, sexual assault, excessive stun gun use, illegal search and seizure, and wrongful shooting. 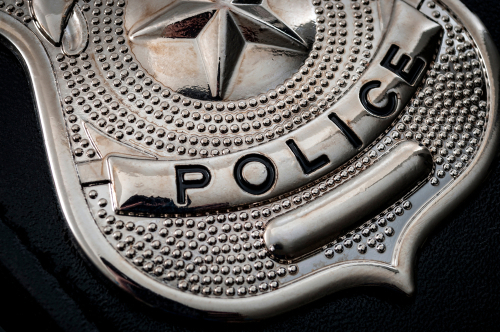 If you have been a victim of police brutality, or if you aren’t sure if a member of law enforcement has acted inappropriately, contact an experienced Michigan police brutality lawyer at Thurswell Law. You deserve compensation and justice for your suffering. Your consultation is free and we do not charge any fees unless you collect. Call (248) 354-2222.